What does it take to set yourself apart in the wine world? Centuries-old experience and pedigree are great, but in Ribera del Duero, that’s not entirely unheard of. Innovation through technology is key, but anyone with enough cashflow can buy some fancy equipment and newfangled gizmos. After that comes the intangibles — and for the legendary Emilio Moro winery, one such intangible actually has absolutely nothing to do with how their wine tastes. How so? After hosting an event for a local charity for the blind, the Moro family connected on an emotional level to those in attendance and sought out to do something about it with his wines. Cut to 2015, when now you can run your fingers across any Emilio Moro label and feel how serious they are about the cause — in 2014, Emilio Moro became the only winery in the world to include Braille lettering on all of their labels. It’s innovation, but not in the Silicon Valley form of the word: It’s innovation in the human form. Braille can be found on the label of this (and all) Emilio Moro bottles. Moro, who oversees both the world-renowned Emilio Moro and Cepa 21 wineries in Ribera del Duero, knows that the Emilio Moro brand needs to push forward and continue to innovate despite his family’s hundreds of years in the vineyards of Ribera del Duero. He knows they’re not bringing in state-of-the-art technology simply to seem cool or hip. All they’re interested in is making the best product possible. The humidity-controlled jets in full swing at the Emilio Moro winery. “Innovation is not a way of inventing something ‘fashionable’ or ‘cosmopolitan,’ but rather, a way of looking into the identity of the soils and obtain the best out of the Pesquera del Duero land, using the most modern advancements,” he says. “Our terroir is born from a combination of weather, soil and the vines. 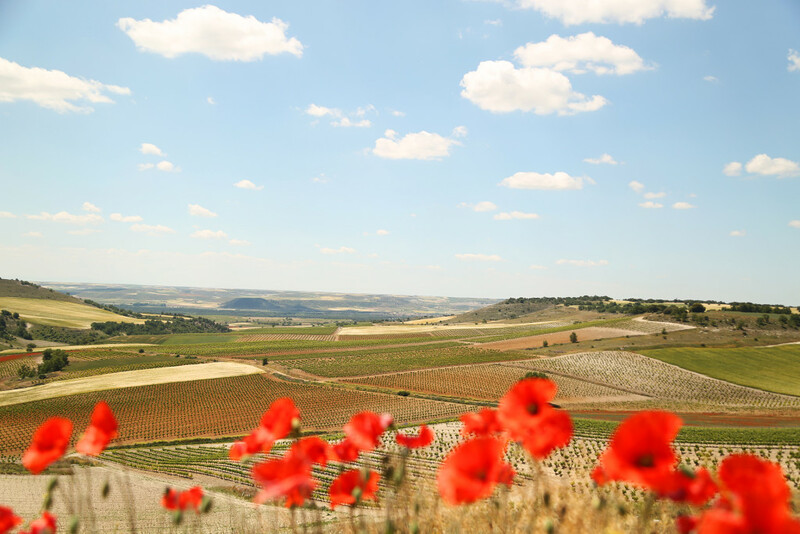 In the Ribera del Duero temperatures vary greatly from day to night, we have different kind of soils that bring different attributes to our wines, and last but not least, the Tempranillo variety, Tinto Fino and our Emilio Moro clone,” Jose tells us. Jose is also a big proponent of social media as a way of connecting emotionally with fans of Emilio Moro and Cepa 21. A hilltop view of the rolling Emilio Moro vineyards. There’s a passion and a seriousness to Jose that translates over to his wines — no matter which one you choose to dance with. Be it the $15 Finca Resalso, the $50-ish Malleolus or the aforementioned $200-plus Clon de Familia, the attention to detail has been handed down from generation to generation. Emilio Moro — poured, not stirred. Located in the town of Pesquera in the Valladolid district, Emilio Moro is a family-owned winery with over 120 years of winemaking history in Ribera del Duero. The family owns 173 acres of vineyards located in several parcels in Pesquera del Duero. The average age of the vines is 10 to 25 years, and the vineyards are located at high altitude -1,950 feet - on the banks of the Duero River. 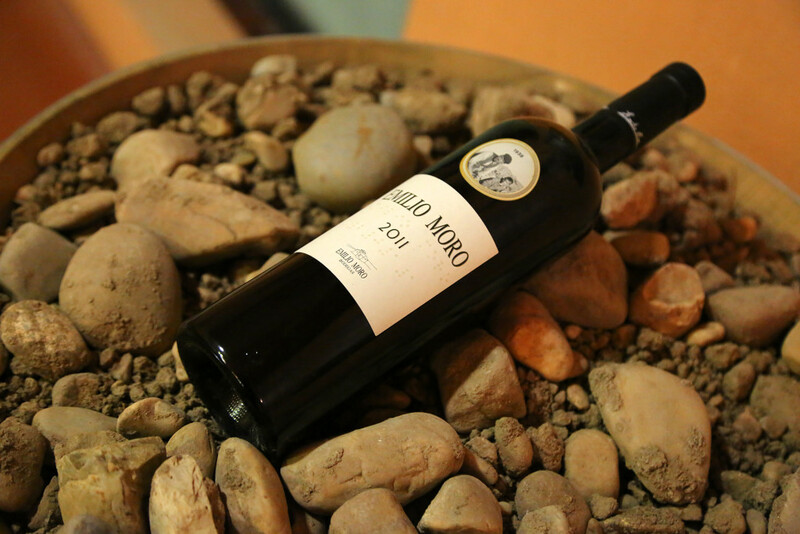 The first vineyards were planted in 1932 in the year of the founder, Emilio Moro's birth and the winery works with a pure clone of the Tinto Fino transplanted from their earliest vines. 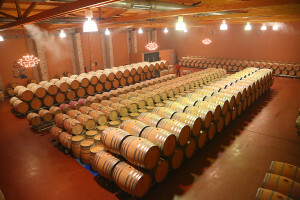 Soils are clay with gravel and chalk, and the area is endowed with the harsh, continental climate that defines the unique character of Ribera wines. Ripe cherry color, deep with a garnet rim. A wine with a very intense, powerful nose offering the maximum expression of the Tempranillo variety, with jammy, black fruits and liquorice, and outstanding balsamic, spicy notes from the fine oak, forming an ensemble of great elegance and expression. The feel in the mouth is strong and silky with a sweet, well-structured tannin. A long, persistent finish that underlines the power of the vintage. Intense ripe cherry-red color, with dark tones at the heart. The nose is opulent and intense, dominated by black fruits and a marked minerality, accompanied by toasted aromas of fine oak. A great complexity of spicy and sweet nuances. On the palate it is a powerful ensemble, persistent with a silky tannin that envelopes the palate. The finish is long and persistent, and lingers on the palate. Even for those who might only be minimally aware of Ribera del Duero wines, there’s a good chance you have come across Protos. Family is everything at Alonso del Yerro, from the names of their wines to a special barrel-marking tradition, everything is done with one thing in mind: Make great wines, together. Things are getting artisanal (and very special) at the Dominio del Aguila winery in Ribera del Duero. For starters? They crush grapes with their feet. Doing things the easy or expected way just isn’t a possibility for Yolanda Garcia Viadero and the Valduero winery she crafts wines for.